posted on Thursday, June 18, 2015. The Racine Journal Times sued the Board of Police and Fire Commissioners about three years ago alleging a violation of the Wisconsin Public Records Law with regard to the disclosure of the individual votes of PFC members in a special meeting during the time of the recruitment to fill the vacancy left by the retirement of former Police Chief Kurt Wahlen. 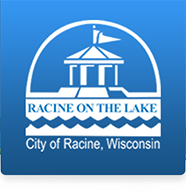 That case has finally concluded with a decision in the Wisconsin Supreme Court and a solid win in favor of the PFC, and thus, the City of Racine. "We conclude that under the facts of this case, the Newspaper did not prevail in substantial part in this action and is therefore not entitled to reasonable attorney fees, damages, and other actual costs under Wis. Stat. § 19.37(2), because the Commission did not unlawfully deny or delay release of the subject record ."